I can break my trip into two distinct frames: B.CS. and A.CS. Before Carrot Salad and After Carrot Salad. What I do remember of that night, B.CS, was that it was a Thursday. At around 10:30 pm, I found myself in the back seat of a small, powder blue Peugeot, smashed between Aurélie and Claude. Strangers. We were going at a swift 80 mph down back roads, and we made a sudden stop at a barn. “Hide,” I heard. The lights went out. We ducked down. We were silent. We sat for what felt like an hour. At midnight, we finally arrived. I was still trying to make sense of our detours. We arrived at the the discothèque — the mecca of young adult life in France. It was hard to miss with its green lasers shooting through the night sky. I didn’t want to be “L’Américaine.” I’m sure that failed. It’s funny, I can recount the details of the lead-up so easily, perhaps because it was so puzzling. But the main event was hazy. Literally. I only remember the French house music and someone wearing an orange tube top and the undergarment that stuck to my shoe as I left. I know I laughed to myself, wondering if this is what my parents expected when they let me go on a school trip to France. We returned to the family’s home at 6:00 am, and I promptly passed out. Let me tell you, it’s an odd thing to wake up in a stranger’s home at 1:00 pm, with déjeuner waiting at the table. I was tired and dizzy, since I wasn’t used to, you know, the weekly visit to the discothèque and the accompanying debauchery. I schlepped out of bed, annoyed by the greasy hair and the massive headache. And we ate. And they laughed at me. And we ate some more. I may not remember much from the discothèque, but I (unsurprisingly) do recall every meal I ate in France. From the heavy — and frankly, bland — casserole of penne, béchamel, and ham that filled my belly like lead before the disco; to the luscious, buttery green sauce that coated salty escargots on Easter. I watched the mother make aligot, and I was hypnotized by the starchy mix, as it stretched and danced with every pull of the spoon. I discovered my love of tarts with my first bite of the fresh strawberry one we picked up at the Sunday marché and then the apple frangipane one I devoured in Paris. These were new (to me) and exciting dishes. But it was a simple salade de carrottes râpées, or grated carrot salad, that we ate for lunch post-Discothèque and pre-daytrip to the coast, that I can still taste and feel. 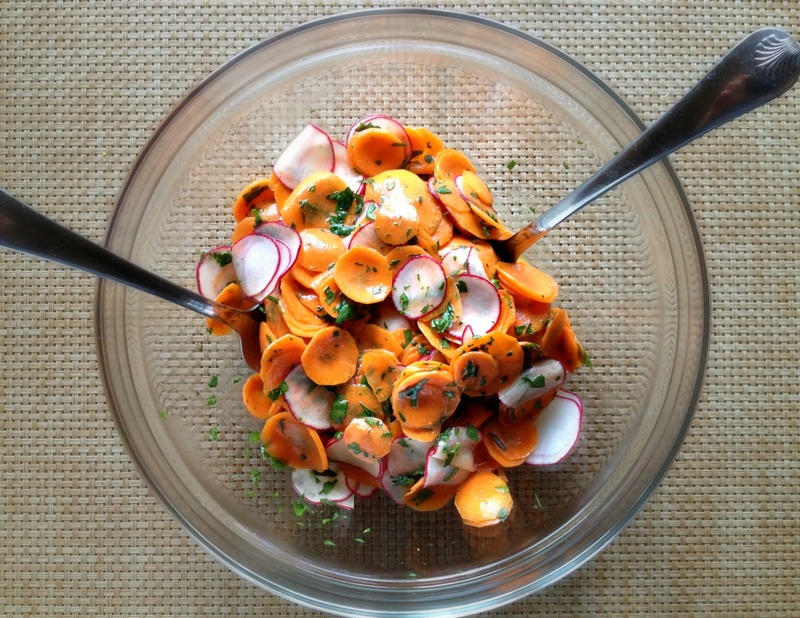 Just carrots, parsley, and vinaigrette. Perhaps the crunch of the carrots between my teeth was so awakening, because I was in such a deep daze. The bite of the lemony vinaigrette violently ripped my heavy-lidded eyes open. Starving, I ate a whole plate, while most had a small pile of the matchsticks. I brought it back with me; it was such an easy dish to make by memory. It’s known as a classic café salad, but French home cooks whip it up frequently as well. But this salad is not that salad. It is, of course, inspired by it. It is equally simple and made mostly of carrot. But, I add some radish to bring a subtle bitterness to all that sweet. I up the parsley for a grassy contrast. 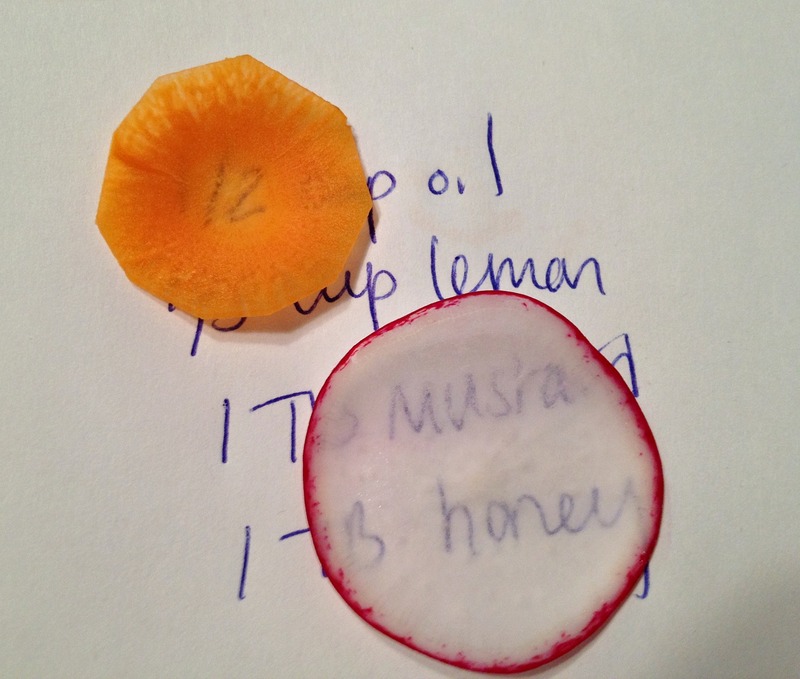 My vinaigrette is more acidic; the carrot’s juice combines with the dressing, so as to tame it. Instead of grating the carrots, I make them face the mandoline. I love the texture of crunchy things that are shaved paper thin. 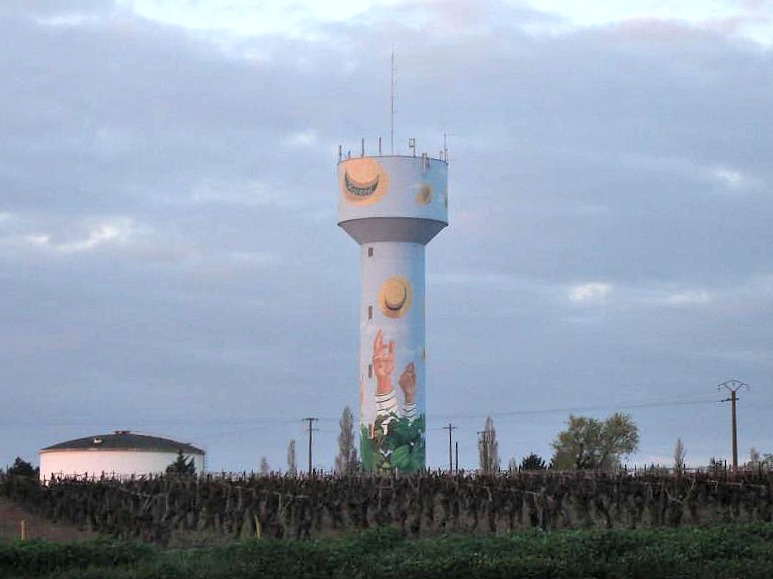 I hope to return to France again some day. Now that my palate has grown — heck, now that I’ve grown — I’d be able to apply what I know and explore without the guidance of a high school French teacher. But until then, I’m happy to know that my food memories from France are not only of the grandiose, but also of the simple, the fast, and the flavorful. This is not the food of the Michelin star restaurants, but it is the food of French families. This really is the perfect summer salad, as it is bright enough to pair with rich, barbecued or grilled meats, and light enough to accompany a white fish. It also makes for a lovely light lunch. If I were not trying to “act French” when I make this, I might salt the veggie slices, similar to how I did it in this slaw. But that would be far too fussy for a French home cook. And that’s fine by me. 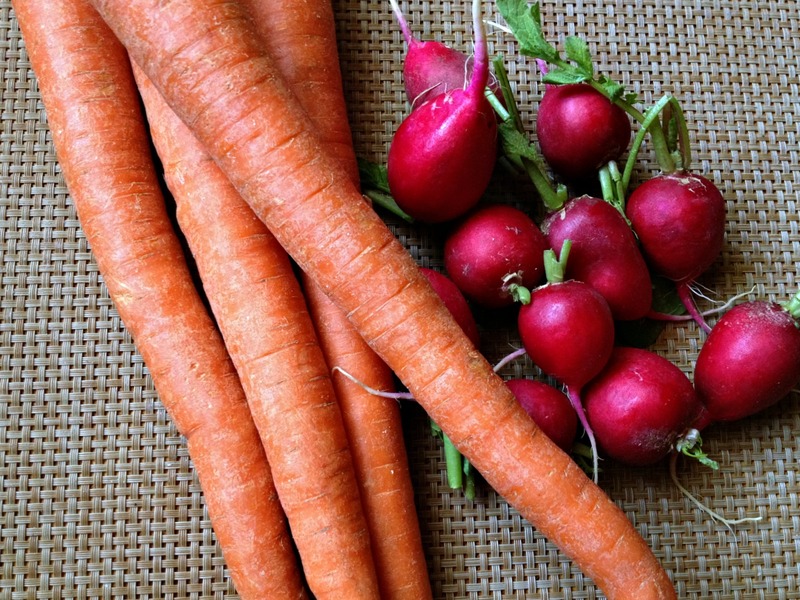 In fact, the juices exuded from the carrots color and flavor the vinaigrette when tossed. It’s an integral ingredient. 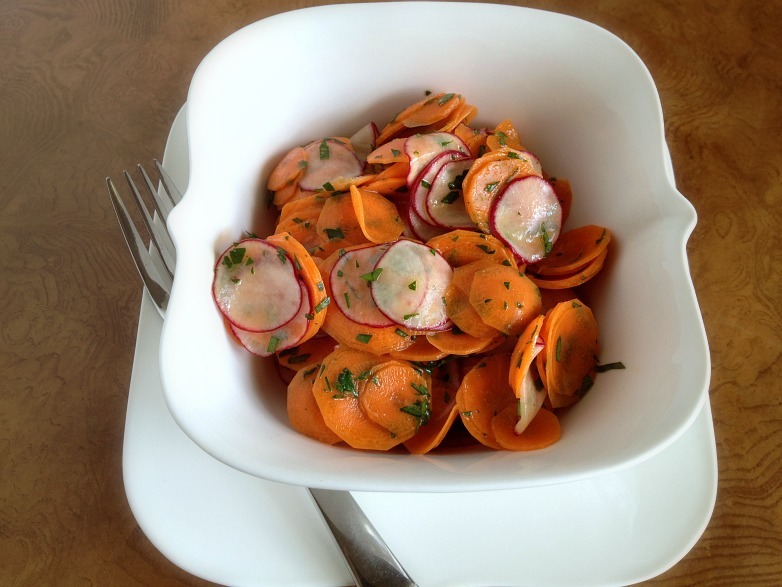 The salad, unlike other summer carrots and slaws, should be dressed right before serving to ensure that the paper-thin veggies stay crisp. But if there is leftover, it certainly will taste good on the second day. Also, this dressing is awesome because the mustard and honey make for a super-emulsified mix that will hold in the fridge if you’re preparing in advance. Prepare the dressing by by whisking together ingredients in a small bowl until smooth and emulsified. 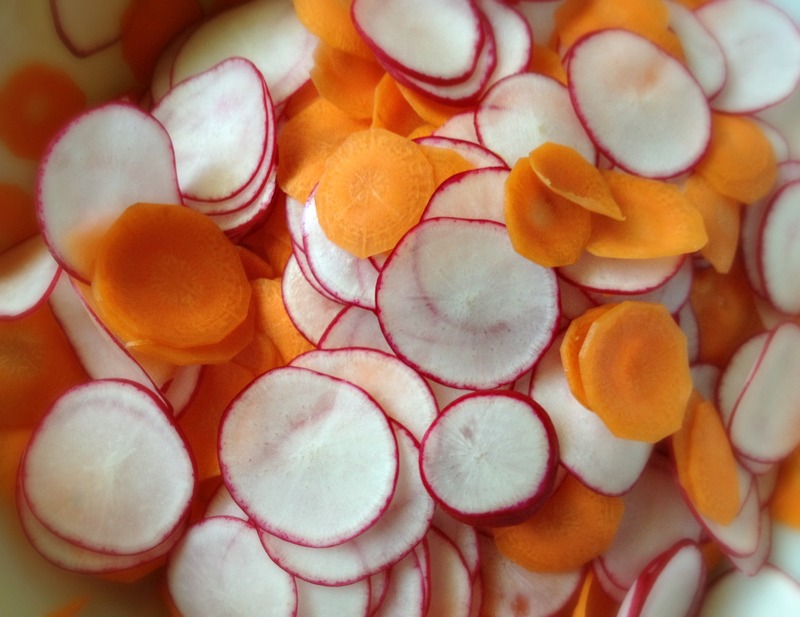 Shave carrots and radishes into rounds on the smallest setting of a mandoline. You can, of course, impress everyone with your knife skills and slice your rounds paper thin — it will just take longer. ** Place rounds in a bowl and toss around. Add parsley and pour the dressing over the mix. Toss to coat all vegetables evenly. Donezo! **This is my cheapo mandoline, and I LOVE it. It looks flimsy, but it works so, so well. 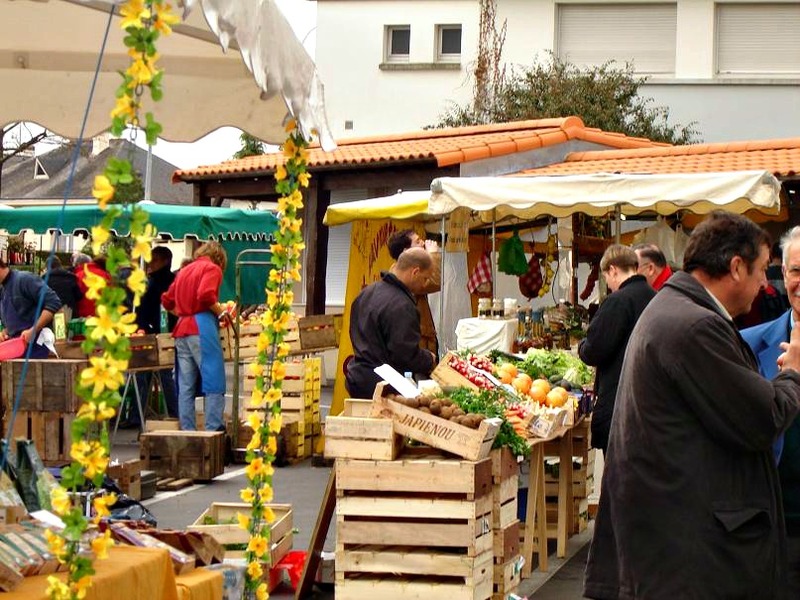 That looks like a great excuse to hit the farmers market…. I so enjoy reading your posts. And the pictures are nice eye candy too. I’d say experiences like this abroad almost make up for not having done much traveling. Better one trip like this than three run of the mill touristy trips, in my opinion. But really, I too would take any chance to travel more. 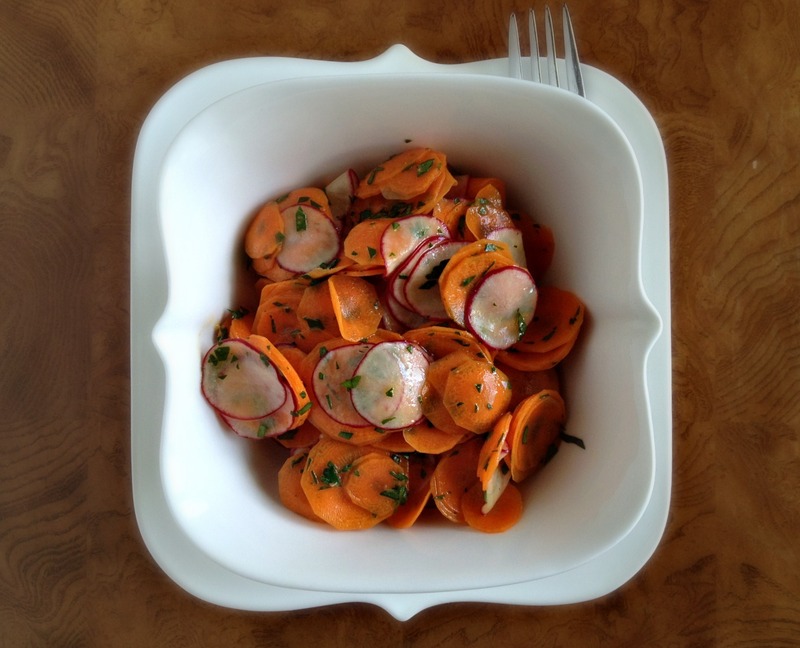 hehe, i’m sure your experience would be different this time around, but you’d probably create just as many great food memories :) this sounds like a fantastic carrot salad!